Back on Market. Don't Miss This Opportunity!! 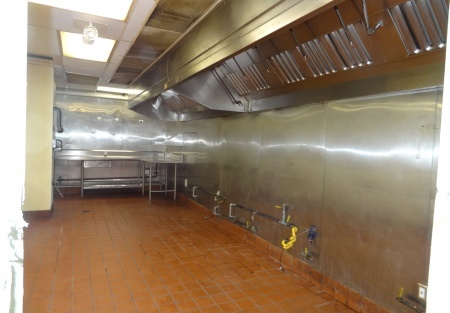 Closed Restaurant-This is one of those Great Opportunities in the life of a restaurant owner! Have you dreamed of owning a restaurant near the beach? One of the finest locations California has to offer, this restaurant is for lease. Previous owner operated as a steak house and closed the doors. This is a South Orange County location with a huge visitor population. One of the top locations to visit in the world, you will not be looking for clients tas this area has a metro station close and plenty of visitors. Plenty of parking and a lease secures your opportunity to get established. Past revenue topped $1M annual as recent as 2013. Demographics in th 3 mile radius total 80,000 residents. Median income is $73,000 annual. This restaurant is across the street from one of California's most visited Catholic Mission's. The visitor population is constant and the metro train station is a block away. You won't find a better location in So Orange County! Currently seats 80 and previous owner had also negotiated a lease on the rear outdoor patio at a super low rate. This patio will seat 28 and will be a great venue for small gatherings, receptions and community meetings. Another outdoor patio in the front of the restaurant is open and seats 24. Rent is $12,000 per month-includes NNN and runs till 2027. Comes with 2 five year options. 3840 sq ft. Front patio will attract visitors and a rear patio is available on a separete lease. This presents an opportunity to be part of a growing and upscale community looking for venues to dine.Last concept was Steak, but Mediterranean, Sushi or Italian would be a very good fit here. Landlord is looking for an experienced operator to take this spot. This was a white tablecloth concept with a good wine selection and street front location. South Orange County doesn't have anything better to offer. You will need strong financials, a proven record of restaurant success and very good credit. It was open for business as recent as June, 2014 but the previous owner sold the equipment. Hood is in place-A Large Hood! Liquor license is a 47 which is still owned by previous owner. You will need to purchase a license on the open market. Grease traps in,this was open 6 days by an absentee owner. Sudden illness has forced him to close.